Here’s my shocking homeschool mom confession for today: I don’t like reading aloud. Both Julie and Tracy have written about their family traditions of reading aloud. And I like it in theory. I just don’t like doing it. Darren does. He’s read aloud the Little House books, James Herriot stories, P.G. Wodehouse’s The Code of the Woosters, and (for years and years, from Bookgirl to Ranger) Go Dog Go, Are You My Mother?, Green Eggs and Ham, and Ten Apples Up on Top. He and I take turns putting Sparkler to bed, and together we took her through all seven Narnia books. We just finished the first Harry Potter. But I’d rather just tell a story. Then I had to learn to tell the story. It’s a different skill from reading aloud. Very easy to forget key details: “Oh, wait, the beanstalk grew because Jack got five beans for a cow.” “So then Gideon told the men to break the pitchers and yell… Did I mention that they had torches and pitchers? No?” Fortunately I had an eager and forgiving audience. I got better. I even got good. I ended up with a large repertoire of well-polished stories, all of which are part of the fabric of our culture. This is education here! Tell stories from my life or the children’s lives. It’s the age-old way to pass on a heritage, plus it’s almost always crowd-pleaser. Rework an existing story, Veggie Tales-style. Tell the story of Queen Esther… but with horses instead of people. (Not sure how the gallows would work in that case, but that’s the storyteller’s problem.) It’s The Three Billy Goats Gruff—but with kids…who are spies……trying to get past the bad guys! One day, Ranger got a call from the library. The librarians said, “Help! The J’s are here and they’re doing really bad things!” So Ranger grabbed his blue and silver sword and jumped on his really fast horse, and dashed off to stop the J’s! The police came and got the J’s. The librarians were so happy that they gave Ranger twenty books about monster trucks. These simple stories have it all for young kids. Heroism, really terrible behavior, fighting and conquering, and a reward at the end. Variations on this theme could fill up a month’s worth of bedtimes. Older children like serial stories. I end on a cliffhanger, telling a new installment the next bedtime. It’s very exciting, since even I don’t know how the story is going to end. If you’re a reader, taking time to read aloud to your family creates memories that will last their whole lives. If you’re a storyteller, your voice and your imagination will inspire your children and even your grandchildren. Both are entertaining, educational, and creates bonds that draw a family together. And, in the case of Goldilocks, teaches children that if you’re going to break and enter, you’d best be prepared to hustle your bustle when the homeowners show back up. What are your favorite books to read? 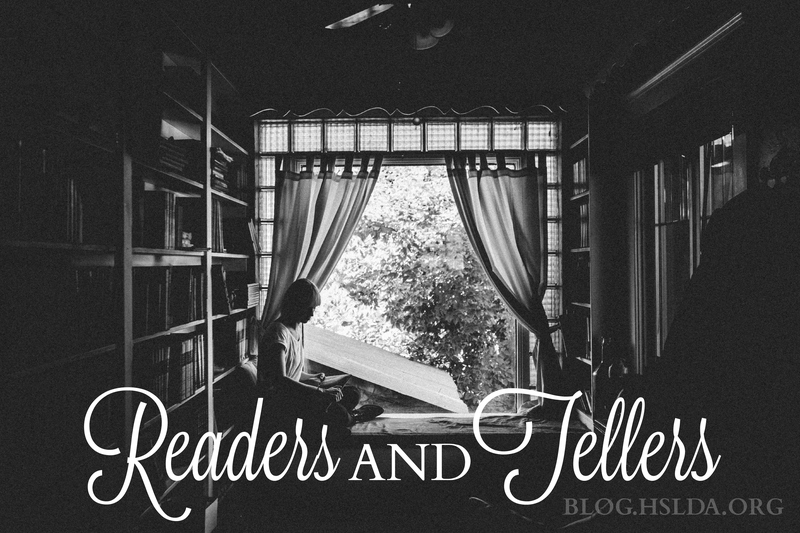 What stories do you like to tell?